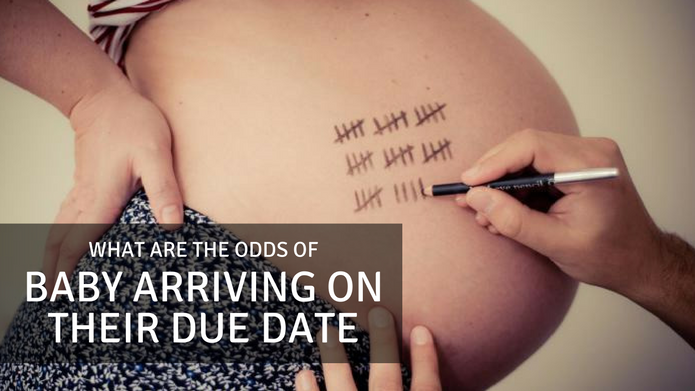 What are the odds of baby arriving on Due Date? 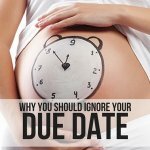 WITHOUT A DOUBT, YOU’VE HEARD LOTS OF CONFLICTING INFORMATION ON WHAT A DUE DATE ACTUALLY IS. Some have theorized that due dates are an invention of modern medicine, and have become an excuse for doctors to perform c-sections. While that’s not what we believe, we do know that due dates are often inaccurate. 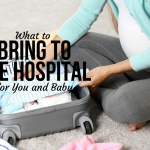 Baby should not be expected to arrive on an exact day (unless you’ve scheduled a c-section). In fact, baby should not be rushed at all unless there’s a medical reason to do so, according to March of Dimes, a non-profit organization that works to end premature birth, birth defects and infant mortality. Let’s take a look at the statistics taken from an online survey with 11,704 participants. What is the probability of spontaneous labor after 35 weeks? Out of 11,114 women, 8,464 went into labor spontaneously, 76% of participants. What is the probability of giving birth within X days of your due date? Babies don’t always come on their due dates, but they usually come sometime around it. Only 4.3% of babies of surveyed moms arrived on their due date. Comparatively, 61.6% of non-induced babies arrived within one week of their due date. What is the average length of pregnancy in weeks? What is the average length of pregnancy for subsequent births? If your first baby comes early, will your second baby be earlier than the due date too? If your second baby arrives late, does that mean your third baby will come late as well? According to the survey, on average, subsequent babies arrive 0.18 days later than the previous baby. The average baby #2 came 0.44 days later than baby #1. The average baby #3 came 0.73 days earlier than baby #2. The average baby #3 came 0.58 days earlier than baby #1. The average baby #4 came 0.92 days earlier than baby #3. The average baby #4 came 0.19 days earlier than baby #2. The average baby #4 came 0.38 days earlier than baby #1. How does length of pregnancy for first-time moms compare to second-and third-time moms? On average, a first-time mom has her baby at 39 weeks and 5 days. This is the equivalent of 54.8% of first-time moms giving birth on or before their due date compared to 56.7% of second-time moms, and 59.5% of third-time mothers doing the same. 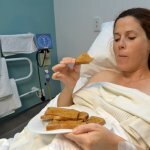 Is there a connection between length of pregnancy and the type of delivery? 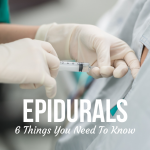 About 9% of the 8,670 women who went into labor spontaneously underwent a c-section. About 19% of 2,343 women who were induced underwent a c-section. Is there a correlation between induction and increased incidence of cesarean? You decide. What is the relationship between the length of pregnancy and birth weight? Are “late” babies huge? On average, “late” babies are generally bigger than “early” ones but not by much. The difference between a baby born at 39 weeks and one born at 41 weeks is about 300 grams. What is the probability of induction after the due date? Is there a correlation between the age of the mother and the probability of spontaneous labor? It has been theorized that the age of the mother has something to do with when labor sets in. Is it possible that the average due date would change depending on ethnicity, age or even country of origin? According to the survey, about the same number of women give birth on day 279 as 287. Are more babies born on a full moon? There is no correlation between the phase of the moon and when babies are born. What is the most common day of the week for babies to be born? According to the survey, the most common day for babies to be born is Thursday while the least common is Saturday. Sunday: 10.6% spontaneous deliveries, 1.6% induced births. Monday: 11% spontaneous deliveries, 3.2% induced births. Tuesday: 10.7% spontaneous deliveries, 4.1% induced births. Wednesday: 10.9% spontaneous deliveries, 3.9% induced births. Thursday: 13.1% spontaneous deliveries, 4.5% induced births. Friday: 10.6% spontaneous deliveries, 3.9% induced births. Saturday: 10% spontaneous deliveries, 2.3 % induced births. What does it mean if I’m 40 weeks pregnant? Congratulations! You’ve hit your due date and baby is fully developed! Instead of stressing out that baby’s not here yet, relax and enjoy the anticipation. About 52% of women surveyed were still pregnant at 40 weeks. And 28.79% of babies were born spontaneously within the next 3 days (on or before week 40, day 3). 34.49% of babies were born spontaneously on or before week 40, day 4. 46.57% of babies were born spontaneously on or before week 40, day 6. 57.07% of babies were born spontaneously on or before week 41, day 1. 68.61% of babies were born spontaneously on or before week 41, day 5. 73.44% of babies were born spontaneously on or before week 40. 26.56% of babies were induced. It’s normal to still be pregnant at this point. 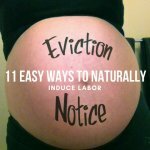 If your doctor or midwife is supportive of natural induction, consider these methods. I know the exact date I conceived. Can I calculate my exact baby due date? Typically, due dates for babies have an 8- to 10-day variation as they are calculated from the last menstrual period, not date of conception. The question then arises: is it possible to calculate an exact due date based on conception date? According to the survey, the standard deviation does not improve even if you know the exact second your baby was conceived. Babies are individuals, just like adults. Some need more time in the womb than others. Which babies are born earlier, boys or girls? The average arrival time for babies of both sexes is 39 weeks and 5 days. Do inductions bias due date statistics? What if all the women who were induced were meant to give birth late? Doesn’t this change the average amount of time a pregnancy should last? Not really, according to the survey. If we assume each induction was actually a late birth, the average median would shift by 2 days.